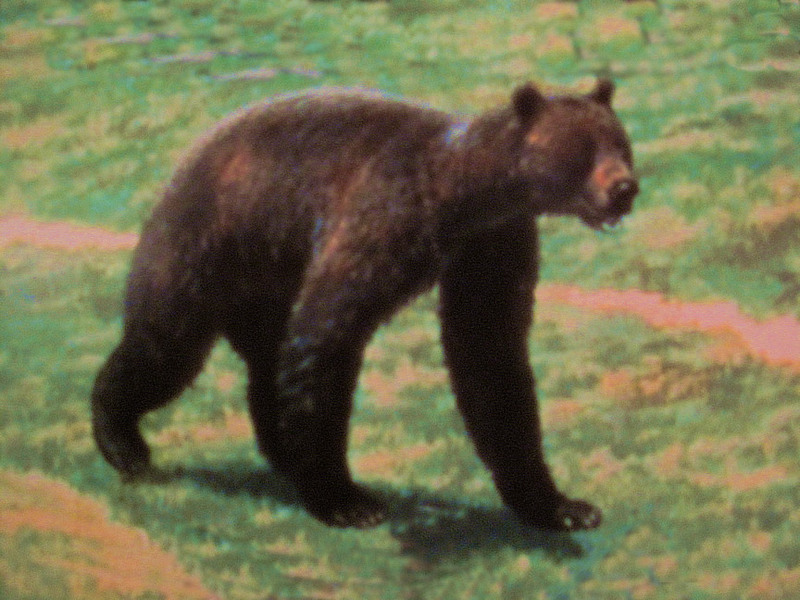 The short-faced bear was a mammal that lived in Beringia. It was probably a predator (a meat-eater) that may have attacked bison, deer, muskoxen, caribou, ground sloths and horses. It probably hunted alone except when there was a mother with cubs. The largest bears were nearly 1.5 metres tall when walking on four legs, and about 3.4 metres when on their hind legs. They could reach more that 4.3 metres that’s 1.2 metres higher than a basketball hoop. The short-faced bear has been extinct for more than 10,000 years. The spectacled bear of South America is the closest living relative of the North American short-faced bear.